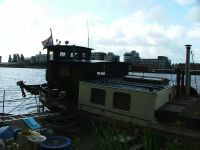 The Ada van Holland has been converted into a sailing charter vessel. 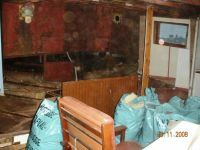 The Arma is being converted for a social organisation that are taking care of younger people in Bruges. The Elisabeth has been scrapped in 2005. 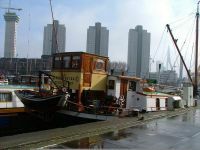 The Geertruida is a museum, part of the historical harbour of Rotterdam. Even she is no houseboat, I decidd to add her to the list. She is worth a visit and the entrance is free! 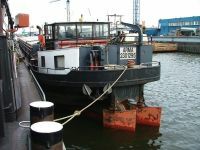 The Nieuwe Zorg was a working ship until 1997. 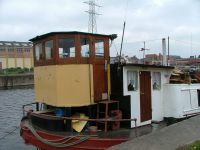 The Rola was built as the Adriana Maria in 1911. She was motorised in 1960. 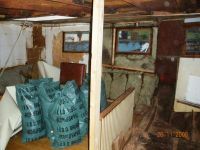 She is now used by a Scouting group. 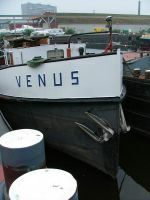 The Venus was used as a sulfate tanker before being converted into a house boat. 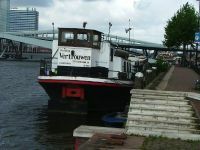 The Vertrouwen is used as a holiday ship for an organisation that tires to make affordable cruises. The organisation has its own website here.